Moms do so much for us. On Mother’s Day, it’s important that we show them they’re the center of our world too. 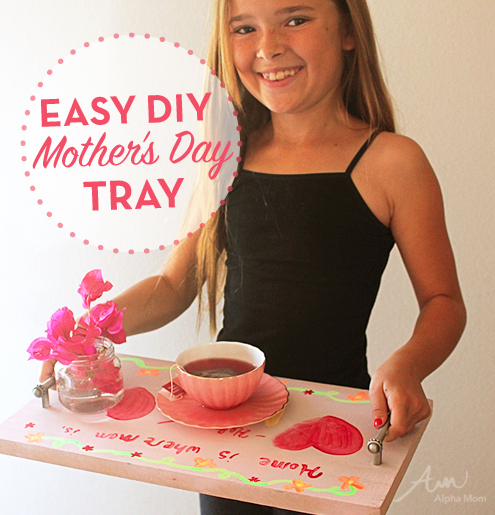 If you need ideas about how you can make Mother’s Day super special, with a little DIY. 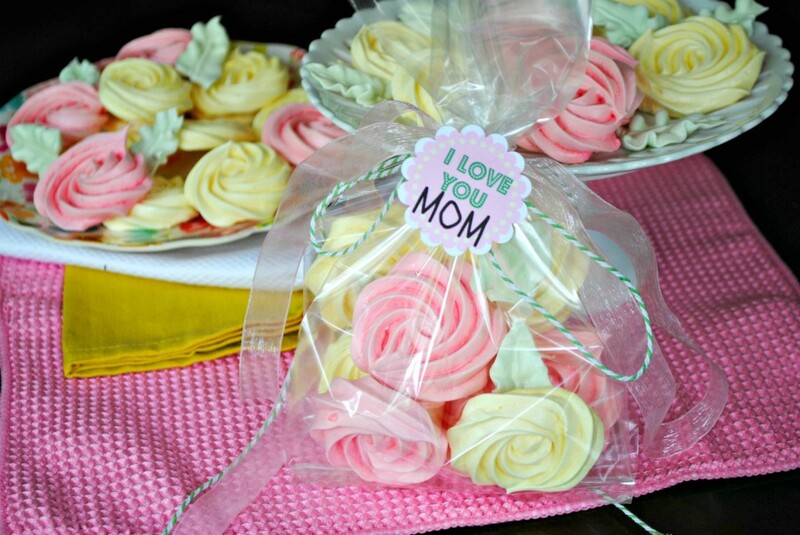 Take a look below for ideas about what you can make, bake, and prepare for your mom to make her smile. Have little ones in the house? You can get them involved in this super sentimental craft/card. Gather some non-toxic, washable paint, newspaper, and the card stock you want to use for a card. 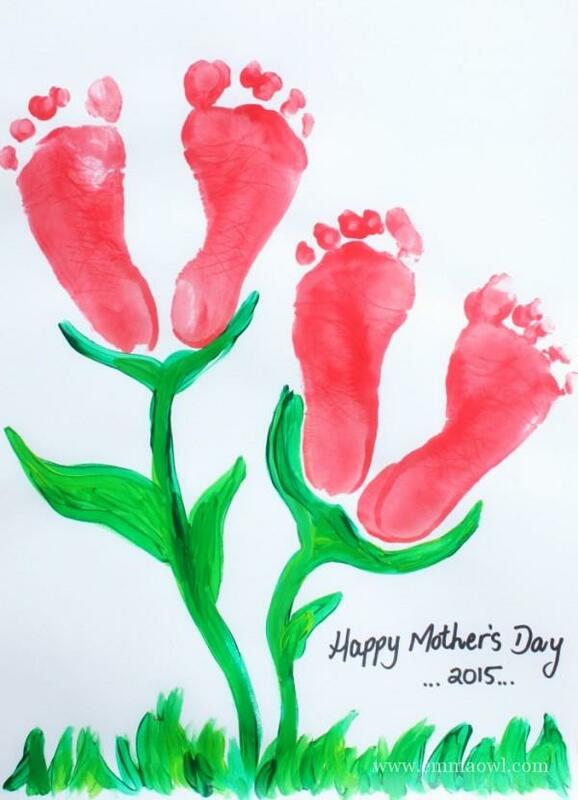 Help them dip their hands or feet into the paint and make clean prints on the paper. Once it’s dry, you can give them crayons to sign their names or write a heartfelt message. If you have grown up kids instead of wee ones, this is something you can still do. It actually might be pretty funny to recreate as adults. Search for past cards and have your adult children stamp their feet next to scanned copies of the originals. It’s sure to make mom tear up with nostalgia. Instead of springing into action, encourage your mom snooze on Mother’s Day. That’ll give you time to prepare a thoughtful and delicious breakfast just for her. This particular breakfast spread is a wee bit heavy, but the design is perfect. Pick your mom’s favorite foods, coffee, tea, and juice, and make a custom platter she can snack on in bed. Don’t have a suitable tray for a Mother’s Day breakfast in bed spread? Don’t worry. You can make a personalized tray that will be even more special than a generic one. 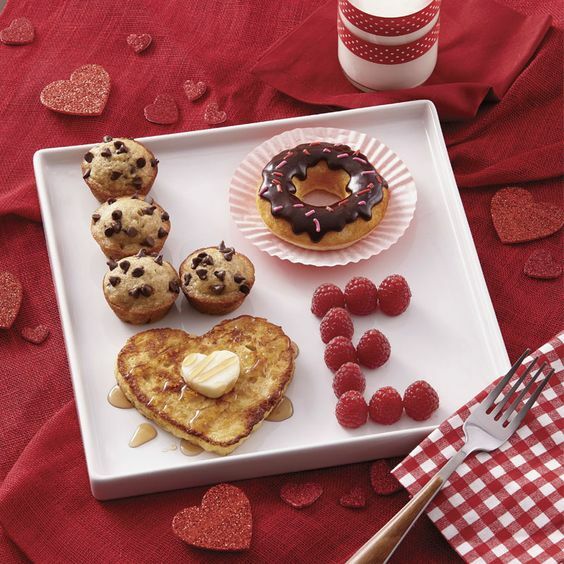 With cabinet pulls, a thick slab of wood, and painted messages, you’ll have a perfect tray she’ll love looking at while enjoying her breakfast. If you have young kids, you’ll have to do a lot of the work yourself. Leave the decorating up to the kiddos though since that’s a special touch only they can add. Homemade gifts are something all moms love. When they come in sweet form, they’re even better. These rosette meringues are an ideal treat to make for Mother’s Day. They travel and store well and aren’t too complicated to whip up. But we’ve also done them with flower gummies. Once stuffed into a cellophane bag, finish it off with a custom Mother’s Day message. Leave one on your mom’s night stand or give them out to the other mothers you know. It’s a thoughtful way to show how much you care. When something is functional and fashionable, it’s a double win. 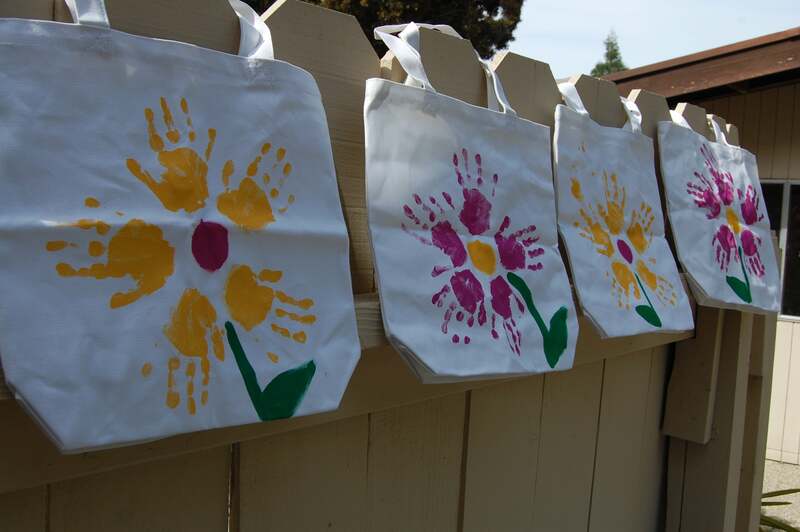 These handprint totes are that for sure. If you’re looking for a Mother’s Day gift idea, these are such a great option. Much like the footprint cards above, you’ll need to get your hands dirty. The only difference is that you’ll want to buy fabric paint so that it sticks to the canvas. When you give one of these totes to your mom, she can carry your love with her wherever she goes. Moms are busy, busy, busy. As the ultimate multi-taskers, they could use some rest and relaxation from time to time. 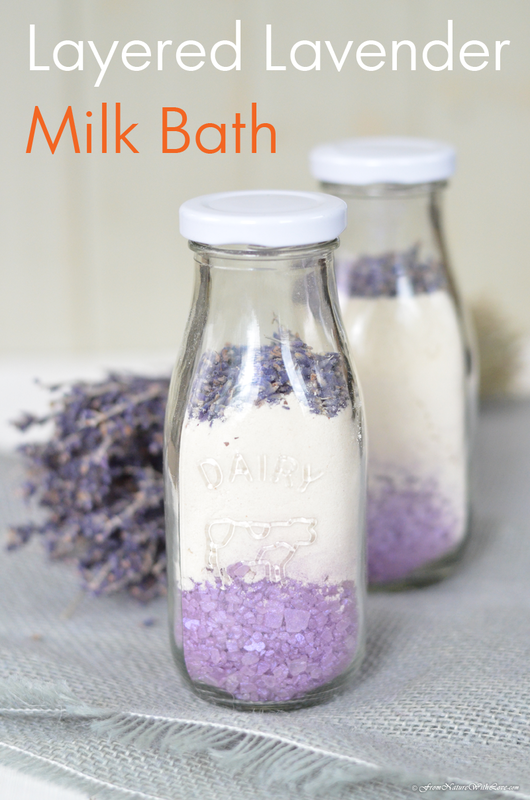 On Mother’s Day, make sure your mom gets some peace and quiet by making her this DIY lavender bath solution. You can present this to her in a gift basket, or draw the bath yourself, set up flowers around the tub, put on music, and show her to her own private spa. If you have little kids, take them out of the house so she can enjoy a stress-free soak. This Mother’s Day gift combines two ideas: a homemade card and delicious treat. Think about adjectives that describe your mom. Maybe she’s pretty, sweet, and caring. Perhaps thoughtful, selfless, and loving describe her best. 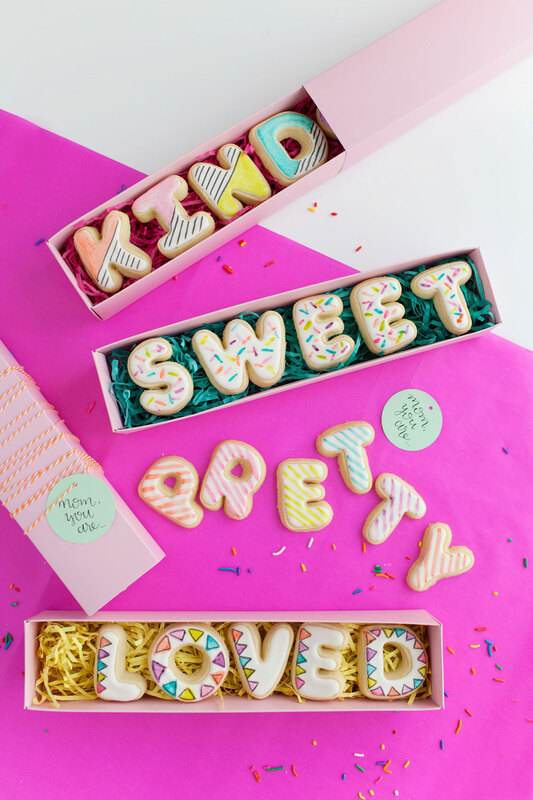 Whatever you think of when you look at your mom, write it down in cookie form. Then, buy little boxes to put these cookies in and let her open and enjoy every one. Give your mom something good to read for Mother’s Day and tuck these homemade bookmarks inside. It’ll give her an excuse to put her feet up and relax for a while and think of you while she’s doing it. Whether you’re grown or you’re helping your little ones surprise their mom, use a nostalgic photo she’ll love opening a book to. She probably won’t be able to help herself from tearing up! If you’re making your mom breakfast in bed as well as the custom platter, put your Mother’s Day presentation over the top by making a personalized mug too. You can either buy ceramic safe marker or special paint that’s designed to go on mugs. 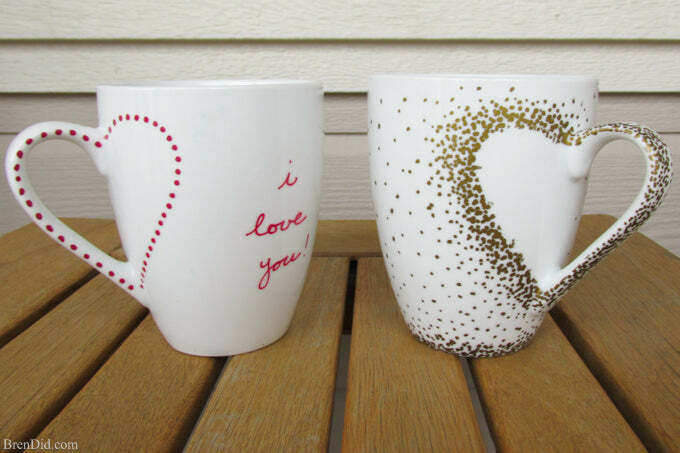 Then, transform the handles into hearts and write a personalized message to your wonderful mom. Give her this gift by filling it with her favorite hot chocolate, coffee candy, or tea. She’ll give you a big hug and thank you for your thoughtfulness. 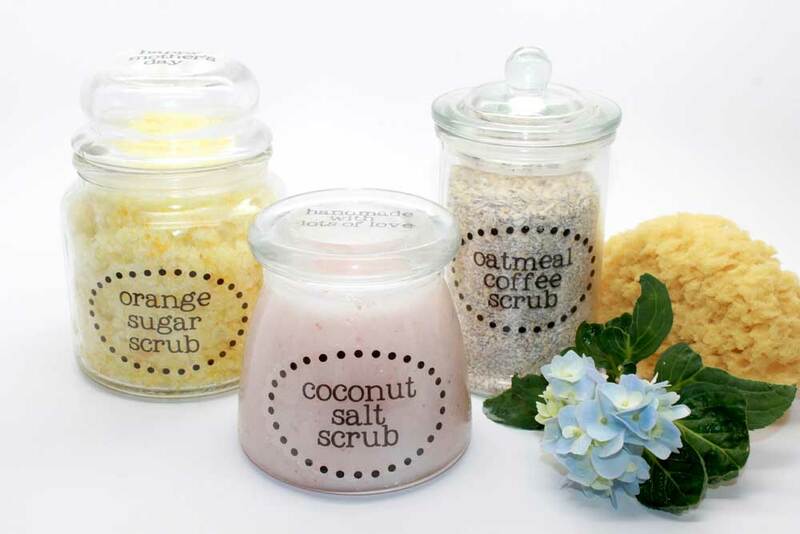 If lavender isn’t your mom’s favorite scent, we have some other bath scrubs you can try. From citrus to tropical coconut to soothing oatmeal, there should be an option for every mom. You could try all three and make her an R&R gift basket stuffed with loofas, lotions, and other goodies. Or, you could try one if you know she’ll absolutely love it. 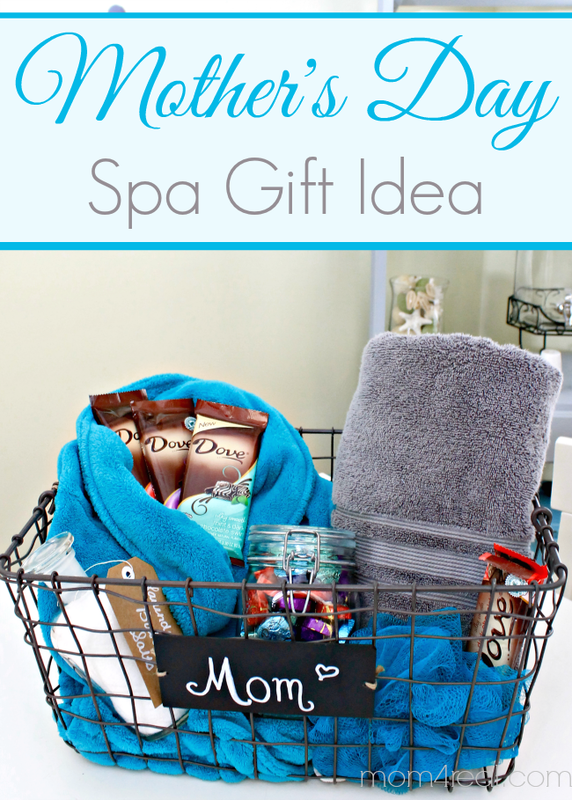 While we’re on the topic of letting your hardworking mom relax, here’s a spa gift basket idea you can recreate for her! This one includes plush towels and chocolate, but customize yours based on what your mom loves most. Popular Mother’s Day candy here. You can tuck gift certificates to a real spa into the basket or make coupons for a foot rub, back massage, and manicure. Then, have your kids be the spa technicians. It’s sure to give her a laugh and help her relax all at the same time. Acrostic poems are amazing. You can choose different words and make so many different variations for holidays, birthdays, and more. This particular acrostic poem is about your mom. 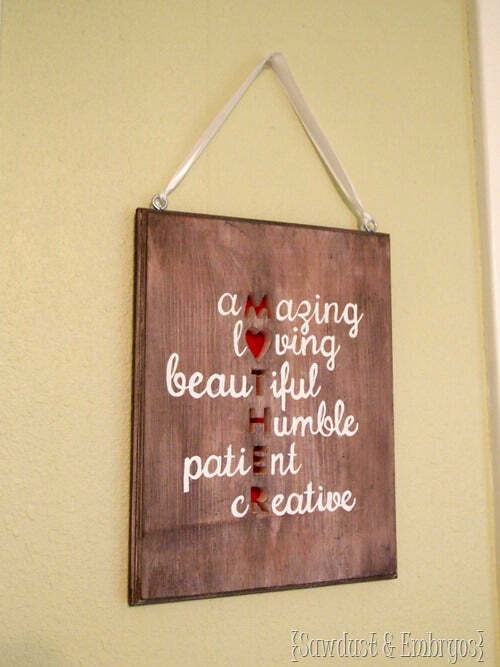 You can use her name or the word “mother” like this crafter did here. Make it your own by coming up with words that describe your mom to a tee. Although, we’re sure she’ll have some of these words in common! 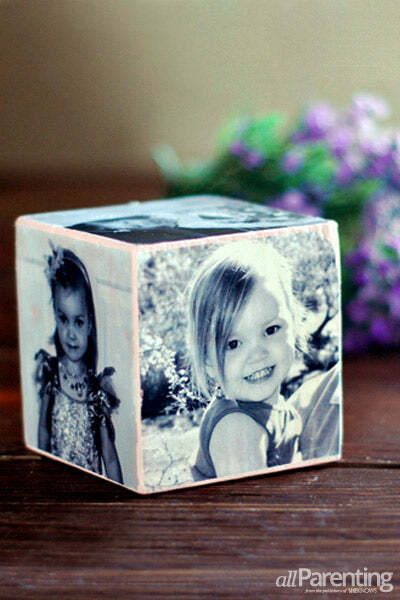 Instead of a picture frame, give your mom a photo cube! You can buy wooden blocks at the craft store and then either glue photos on the sides or transfer the photos directly onto the wood itself. For that, you’ll need Mod Podge, a laser printed copy of your photo (in reverse to it transfers correctly! ), and a few other supplies. It’s actually fairly easy to make and she can take it to work and put it on her desk or keep it close on her night stand.